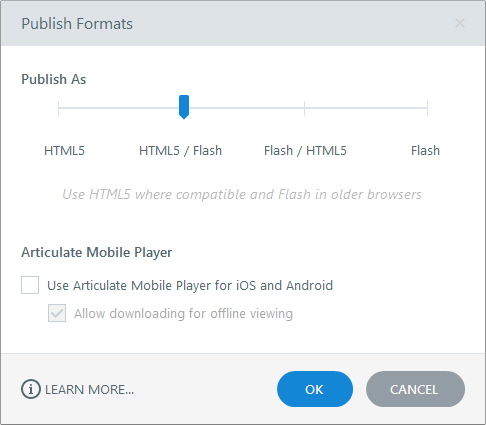 It shows options to choose HTML5 with flash fallback as a Web option. I am not getting that option. What's up? Let me know if you're seeing something different! Ah, that text link is definitely too subtle on the semantics for an easy find. 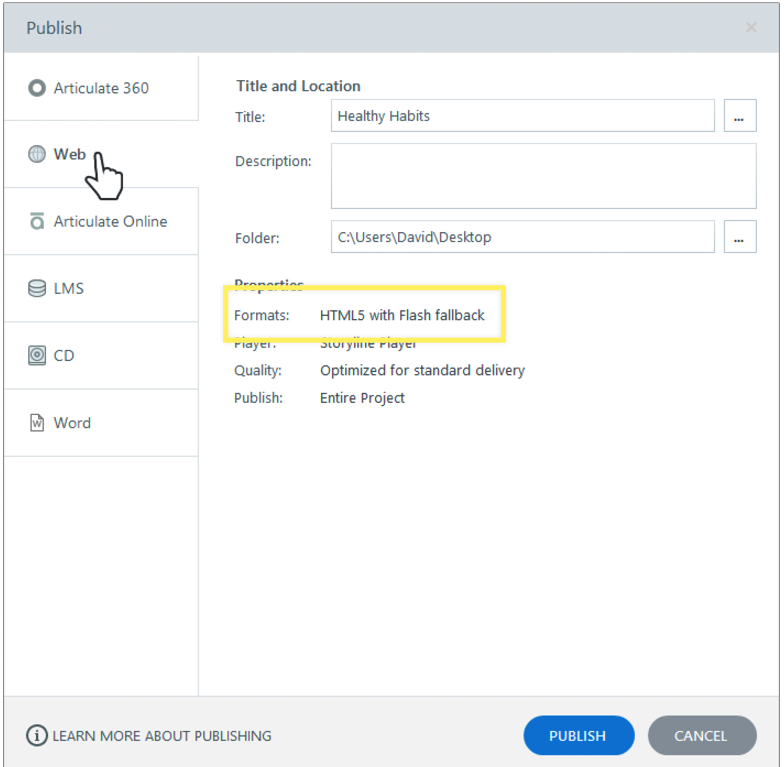 In the tutorial it says "Click the Formats property on the Publish window to open this Publish Formats dialog." I was expecting a gear icon or an actual button/tab. Happy to help Carl! All those links below "Properties" are items you can click on to make modifications.